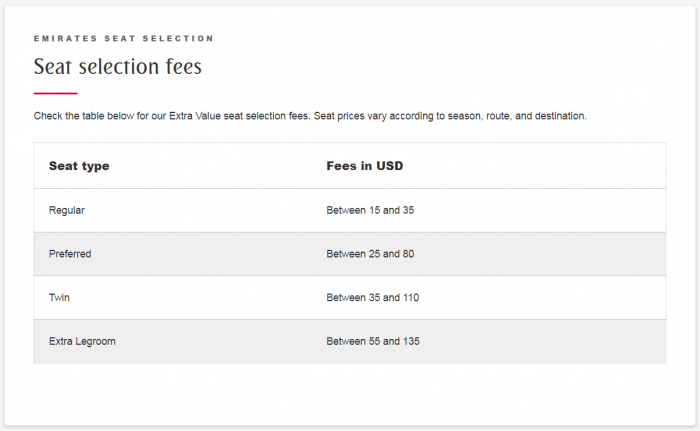 Emirates Seat Selection Fee Changes? Emirates has been sending out emails this week about informing its Skywards members about changes implemented to economy seating based on “extensive customer feedback”. I would assume that this means that there are fewer options for free seats (seems that all the seats are now pay only before check in for those without status) and Skywards elite members are not exempt of these fees either even at the Platinum level. You can access Emirates page for their seating fees here. 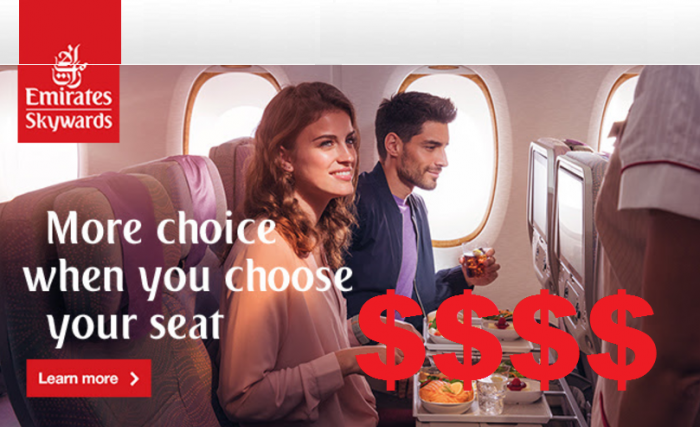 Emirates certainly has been “creative” here. 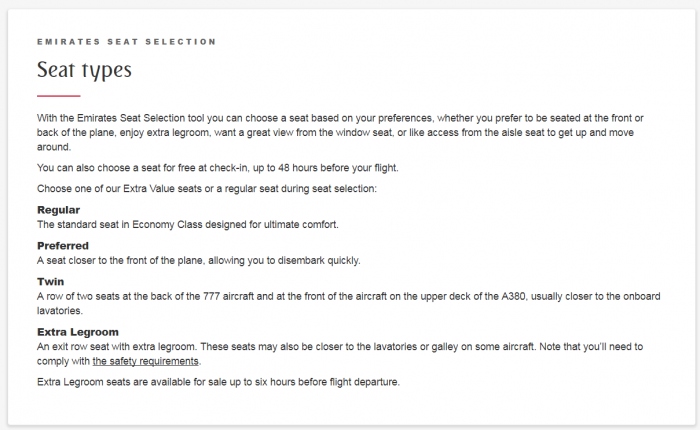 Even the most basic economy seats are “designed for ultimate comfort” and thus $$$. Preferred seats are those that are closer to exits. I believe that these fees are by segment. Considering that most passengers on Emirates flights are connecting these do add up really fast. Even Platinum members are required to play for exit row seats in Economy that is bit cheap IMHO. I have learned that whenever airlines send out emails such as these you usually need to hold on to your wallet (as they are on fishing for more cash). Emirates has been hugely successful but has been feeling the heat lately. They are still offering free bags, good food and beverage offerings even for economy class passengers, and fantastic entertainment options. Let’s see how long those all will last…. Next articleFabulous Fridays: La Gomme à Mâcher, or How to Pop Your Ears the French Way!